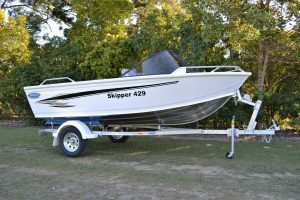 The Stessco Skipper series is the perfect boat for water sports action, all day fishing and just plain fun. Enjoy cruising with this spacious, high performing and versatile package. The top-notch aluminium hull dominates all conditions, and the walk-through layout provides extreme comfort. Discover the unique dual nature of owning both a fishing and a sports boat all in one. 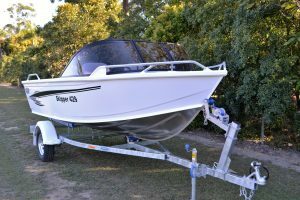 Initial NSW Registration for Boat & Trailer.